Many students have 4-6 weeks off of school between June and September. 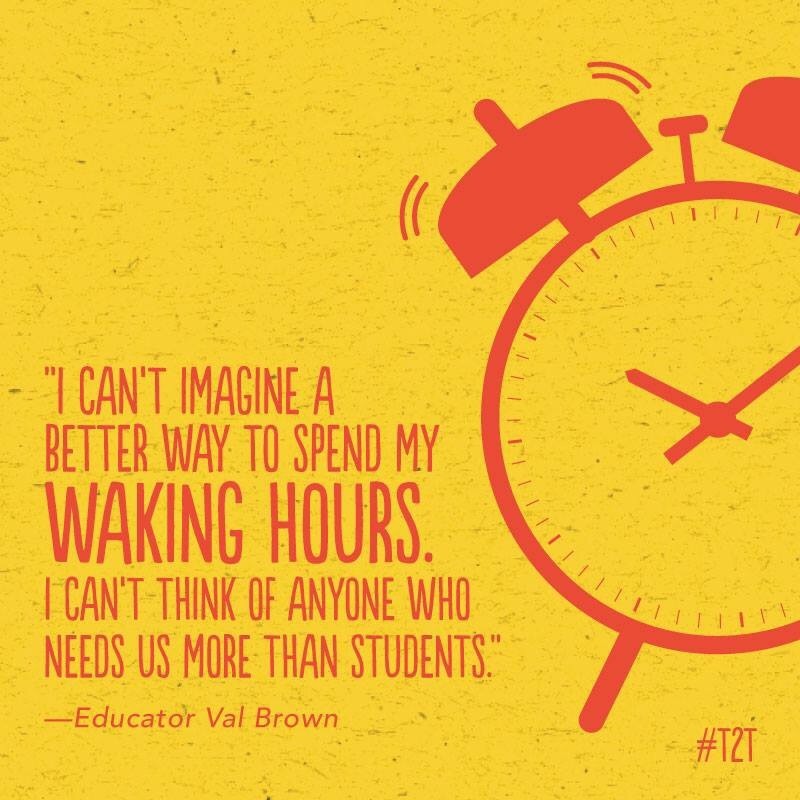 Students are “scheduled” during the school year and do need “down” time. However, given our informational age, letting our brains pause for too long could have negative effects too, especially in regards to math. Learning is all about the lens we choose to view it in…let us promote learning as a fun, year-long, life-long process. Encouraging those around us of any age, to get excited about reviewing our knowledge or learning something new. Having the ability to learn is a gift, and is something that should be celebrated. For summer introduction, practice, mastery or review these sites are a good place for students in grades K-12 to explore mathematic concepts. I have also recommended these sites as homework resources too. Enjoy the fun and challenges of mathematics. Students can click on “Homework Help” or “Games and Interactives” to review math concepts and skills. This site offers resources to help students master the basics of mathematics of numbers and number operations. Videos and tutorials explain basic operations and help with the mastery of math skills in addition, subtraction, multiplication, and division–essential building blocks for success in mathematics. Mini math instructional videos that cover a wide array of math concepts. Parents/students can personalize learning by setting up a free online classroom. The six simple rules provided by Dr. Ramsey, are simplistic in nature and effective if remembered by educational leaders when looking to develop and implement “in the name of children”. I believe that to be an effective leader in education, we must remember our customer is not only the child but our parents. Parents, who have a voice and could choose any school. Given the many varied school options available today, what makes your school the best choice for their child? Parents are looking for a collaborator, not a dictator or an organization that isolates and creates feelings of inferiority. From conducting a needs assessment, drafting a strategic plan or developing a backward designed curriculum utilizing a Universal Design Learning mindset, we must always keep the child as center focus. Programs that lose sight of the child have failed before implementation has even begun. As a principal, I know how “busy” and unexpected a school day can be. However, the reasons why there are so many blogs and books that share best practices and strategies for principals and educational leaders alike to get out of their offices and into the classrooms, is because we all at one point or another get stuck behind our desks attending necessary managerial tasks and we need to be reminded that the reason we chose to be a principal in the first place was to be change agents for children and a champion of teachers! It is so important to remember the “why”! We cannot allow ourselves to get caught up in the tasks at hand but read and research that strategy that will work best for us to spend that necessary time in the classroom seeing learning in action on the part of both student and teacher. We cannot discount the importance placed on the positive development and cultivation of a healthy team of faculty and staff. A healthy and effective faculty and staff are crucial in the development of our future, so it is essential that we as educational leaders get up, get moving and motivate, lead and develop our teams. Be the educational leader you wanted to be when you first said, “YES” to the opportunity. Seek to be the difference in the lives of the children, parents, faculty and staff placed in your care. When we choose to be and see the good, it is simply life changing. Rule 1: Listen to parents; the are the kid’s first teachers. Rule 2: If it’s good for kids, it’s good. Rule 3: If there’s NO fun, there’s not much lasting learning happening either. Rule 4: Kids are more important than teachers. Rule 5: Teachers are more important than principals. Rule 6: Principals are ONLY important if they HELP kids and teachers. We have limited days left with our students. What a blessing it has been to greet them each morning as they enter our building, our classroom. To be able to tell them they can learn the impossible and see that which is not visible. Be a caregiver, boo-boo healer, magician, entertainer, disciplinarian and mentor. To be a dispenser of hope and a well of motivation and inspiration. Provide them examples to model after and to strive to emulate. What a blessing it has been to be all we are called to be to them this school year. We as educational support staff, teachers and administrators have modeled for those placed in our care more than we will ever know. Hopefully, we have modeled positive conflict resolution, how to demonstrate and hopefully deal with disappointment and frustration, how to be kind in words and actions and how to forgive. Our students have watched and listened to our words and actions. As one who who chooses to work within the world of education, teach and inspire our future leaders of tomorrow, this is so very important for us to remember. Let us have faith that the seeds and examples we have planted and provide will be watered to bear fruit for many years to come. May the last few weeks of school be all that you hoped this school year would be …on the first day of school! Some great author websites with games and activities for all ages this summer! Remember Reading Rainbow…check out this great reading resource for FREE! A very special thank you to all of our faithful supporters who have encouraged us and helped this blog surpass 50,000 posts read since 2012. Since I took a position as an elementary principal, our posts have been random as I acclimated to the new role. However, I am working on a new academic eBook book for summer publishing, and the Unlock the Teacher team is currently sending out proposals on a resource book for early childhood parents and teachers. The goal of this blog is to share the good in education for the betterment of our future…our children. This blog has seen parents, teachers, principals, superintendents, publishers and a few Department of Education and government leaders comment and support its efforts. Thank you for your support. Here is to another great year…cheers! This was so fun to write, it is a true mystery…kids love it! We have been very busy working with a fabulous group of 8th graders in the writing process and publishing some eBooks and well, we are happy to say, life has been busy and fulfilling. Thank you for all the well wishes as we continue to write and work on our final draft of book I in the Unlock the Teacher series. (who knew that edits are never ending 🙂 Given the time of year, we thought we would share some new and exciting sites we have found and recommend for student or teacher use this holiday season…or throughout the new year. Discover Harry Potter in a new way at Pottermore! A new interactive site that is all things Harry. Get into cooking and watch kids cook in the kid-friendly cooking videos. The NGA site provides users art adventures and activities from the National Gallery of Art. Can also be a great classroom resource! Monterey Bay Aqauarium…we HIGHLY recommend this site for the young and the old. “The “E-Quarium” site gives you a look at how one of the newest and most elaborate aquariums in the country works, learn about the effects of El Niño, and see how the sea otter population is being preserved.” Check it out and let us know your thoughts. We think it is sure to amaze! Please note, we are now booking workshops and speaker engagements for April-August 2013. For more information, please email trisha.vaughn@unlocktheteacherllc.com if you would like us to come to your school to speak on ePublishing, or any of our other academic workshops. Given that Unlock the Teacher LLC was founded on the principal of sharing the good in education, we look for this good where ever we go. In the grocery store, at Starbuck’s, the local library and most importantly at the schools we are blessed to work in. We wanted to share a wonderful educational program we are following and hope that it might plant a seed for another school looking to add a resource room to their school. St. Regis Educare (SRE) is a newly created program serving the students of St. Regis Catholic Elementary and Academy, in Bloomfield Hills, Michigan. The SRE program is staffed by three certified teachers who are dedicated to supporting the varied needs of St. Regis students. Based on the premise that each student has unique gifts and talents, with different learning styles and academic abilities, SRE supports teachers in providing differentiated instruction within and outside the classroom. In keeping with the St. Regis mission: Respect, Educate, Give, Inspire, and Support, SRE is dedicated to respecting individual students’ needs and supporting and inspiring them to reach their fullest academic potential. The service provided in this program is more than a library of resources for teachers and parents. It is more than a place where students can come for help with their homework. It is a professionally staffed center for learning, where students attend workshops, join literature circles, compete in Math competitions, and follow academic plans designed specifically to meet their individual needs. St. Regis Educare provides three different types of assistance/enrichment for students. They work with individuals and small groups needing assistance or enrichment in academic subject areas. They provide workshops to help students with concepts such as grammar or study skills, and work with individuals and small groups on specific skills such as comprehension strategies or counting money. In order to make the concepts they are enhancing engaging, they integrate technology, and utilize manipulatives, hands-on activities, and use modeling to help students achieve their goals. With all this, they also provide the following benefits for teachers: assessments, which they will design and/or administer upon request; a central repository for teacher resources and reference books; and documented processes and forms to make using our services less complicated. To help bridge the ever widening need between parent and school, they provide a central repository for parent resources, and are in the process of planning workshops for parents, so they can learn new ways to help their children succeed in school. This school year, St. Regis Educare has evolved from an idea and an empty office, into a focal point of learning for students in need of assistance or enrichment, as well as a central location for student, teacher, and parent resources. As of this writing, at least one student or group from every grade, is being serviced by SRE, and they have had an abundance of positive comments from students, parents, and teachers who are grateful for the expertise and supportive of this team’s efforts. It is too soon in the development of the program to provide concrete results; however, I plan to monitor this program’s progress …stay tuned! If your school or community is doing something great to help students, teachers or parents, please share. It is in the collaborative model that we all rise to the level in which we have the potential to be.